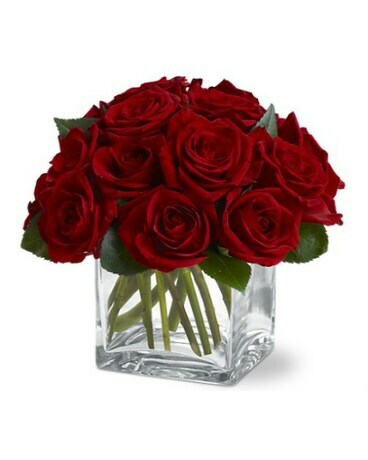 12 red roses arranged in a compact contemporary style in a chunky large glass cube vase. Modern love at it's finest. Imported from select, reputable growers in Ecuador, we'll deliver the best roses with big bloom size and longer vase life.